I recently added Dean William’s web site to our list of “Featured Websites,” which you can find on the right sidebar. It’s a short, somewhat exclusive list, which should give you an idea of how impressed I am with it. Dean is an excellent photographer and he’s created quite a few photo essays and tutorials on a wide variety of topics. He repairs cameras and so he often has to make replacements for broken springs. The two tutorials that show how he does that are among the best I’ve ever seen about spring making. I also found his photo essay about making a miniature propane burner very interesting and educational because of some of the tooling it required him to make or modify. You’ll definitely want to visit Dean’s web site if you’re the owner of a Taig lathe, Taig mill or an Atlas 618 lathe because you’ll find a lot of useful information, including modifications and accessories that you can make. 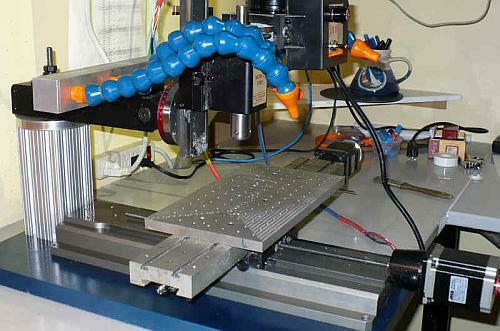 Many of his projects could be resized or adapted for other machines. You’ll learn how he makes a screwless vise, a rotary table, a filing rest, counterbores, a fly cutter, a dividing head, a slitting saw arbor and quite a few other projects. There’s also a great photo essay about the clock he’s making along with pictures and videos of the small steam, Stirling and internal combustion engines he’s made. My story is that I am a professional engineer and run my own consulting firm in the Southeast USA. My Dad (Bob Jorgensen) did most of the maintenance at his family lumber mill until he retired. Since the lumber mill was originally powered by two large steam engines and associated boilers, Bob was intimately familiar with steam engines and such. 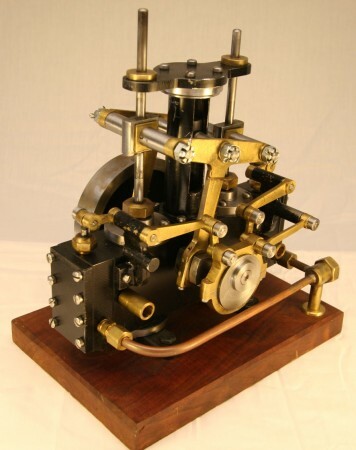 Being of a creative mind, Bob started making simple small toy oscillating steam engine models when he retired, and progressed to the point 12 years later where he had created from scratch (34) model steam engines, (3) hot air engines, (2) steam-powered bicycles, and a Stanley Locombile type steam automobile. What Bob did not leave was a description of how he designed and machined all those engines and things, so my task since Bob’s death in 2006 has been to reverse engineer some of the engines that Bob built, and publish that information along with Bob Jorgensen’s original photographs and hand-drawn vellum sketches. This process got me curious about steam engine design in general, so I began researching steam engines, and have a collection of about 1,000 old steam engine engravings on Bob’s website. I also have gotten into steam engine animations, and can bring the engines of old back to life, like watching the actual engine run. I am currently designing a twin-cylinder steam launch engine, and hope to built that some day. So what started out as building a simple web site to share some of Bob’s photos has turned into quite a learning experience, and I continue to be surprised every day at the variety and complexity of the steam engines designed mostly in the 1800′s, and the sophistication of the engineers who did this work. Luckily, there are a large number of public domain steam engine design books that can now be downloaded online in the US for free, and I have posted a list of about 100 of these titles on Bob’s website. It is a fabulous story of technology from the past that changed and modernized our world in a huge way.